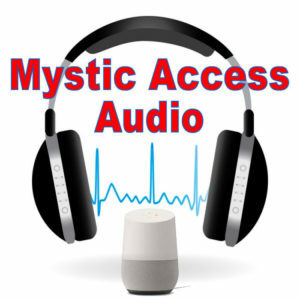 Bundle Mystic Access’s Amazon Alexa and Google Home audio tutorials and save $10. Want to be able to get the most from your Amazon voice assistant? Whether you already own an Alexa non-screened device, or are still on the fence about the Alexa products, our eight and a half hour audio tutorial can show you most of the ways you can use Alexa to help you be more productive, learn more about the world around you, and have more fun! Are you curious about the Amazon Echo (Alexa) and Google Home voice assistants? do you wonder what they do, how accessible they are to blind and visually impaired individuals, and how they can enhance your productivity, entertainment and fun? 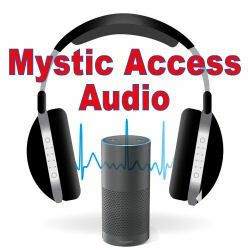 The comprehensive audio tutorials on these products from Mystic access can help. While we offer both these products separately, you may bundle them here for $10 off the regular price. Click here to learn about the Amazon Alexa audio tutorial and listen to a sample. The page will open in a new tab. Please close that tab and return to this one to purchase the Alexa and Google Home product bundle. Click here to learn about the Google Home audio tutorial and listen to a sample. The page will open in a new tab. Please close that tab and return to this one to purchase the Alexa and Google Home product bundle. Enjoy your bundled savings, and learning more about these enjoyable voice assistant products via our audio tutorials. Thanks for your interest.